Ausonia Home Association plans to convert the council quarters of the Knights of Columbus, Ausonia Council #1513 at 41 North Margin Street to 23 affordable, elderly apartments and new council quarters. The complex will also have a large community room, which will be available to the North End community, apartment residents and council members. 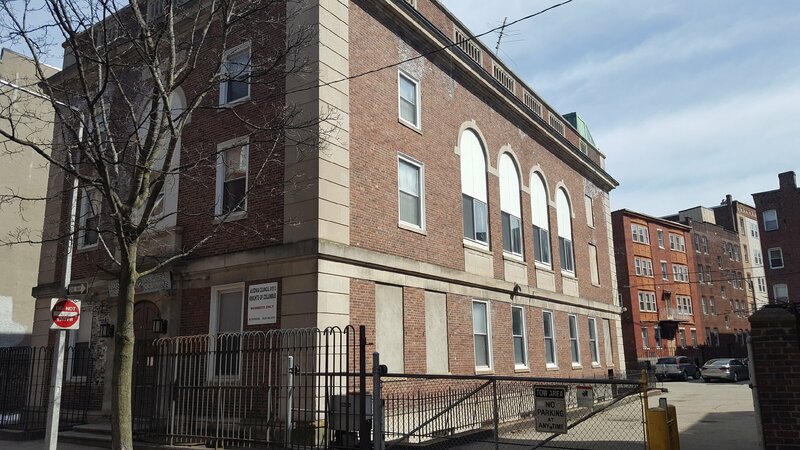 Ausonia will grant a 99-year building/land lease to the East Boston Community Development Corporation (East Boston CDC) and its partner Affirmative Investments, Inc. for the building and land on which it occupies for the elderly housing project, which will be 100% affordable. Currently, East Boston CDC manages the 71 affordable, elderly apartments at Villa Michelangelo, where there is a 2-year waiting list. There is a serious shortage of affordable housing in the neighborhood. In addition to Villa Michelangelo, long waiting lists exist at every affordable housing development; and to compound that problem, residents at the Mercantile Building on Atlantic Avenue have been notified by the new owners that they will be losing their subsidized, affordable rents. Ausonia hopes to continue the project’s momentum and begin construction by late fall this year. The Knights of Columbus, Ausonia Council #1513, is a Catholic, fraternal, charitable non-profit organization based in the North End since 1910. The council’s mission is to perform charitable deeds to improve the quality of life for members of the community and people in need. The council supports education, cultural, religious, civic, health and sports endeavors. Ausonia has started to reach out to discuss the proposal with the community and neighborhood groups. To date, the Nazzaro Center, North End/Waterfront Health Center, St. Mark’s Society, North End Against Drugs, North End Music and Performing Arts Center, North End Athletic Association and several abutters have submitted letters of support. The development team will be presenting their plans to the North End/Waterfront Neighborhood Council (NEWNC), North End Waterfront Residents Association (NEWRA), as well as coordinating future public information meetings at the council. The Mayor’s Office held an abutters meeting on Tuesday, April 24th at the council. North End housing shortages and the lack of affordable apartments were also problems in the late 1960s. The Knights of Columbus, Ausonia Council #1513 responded by developing 2 affordable, senior housing developments: Christopher Columbus Plaza at 145 Commercial Street and Ausonia Housing at 185 Fulton Street, now owned and operated by the Boston Housing Authority. In 1985, when development started to become out of control in the neighborhood, the council spearheaded community efforts to change the Zoning Code to protect the neighborhood by limiting building heights to 55 feet and introducing rooftop overlay codes. The council’s Community Affairs Committee chaired public meetings at the council, composed & distributed petitions and worked with North End resident and BRA Zoning Director Linda Bourque to draft the new zoning codes. Over 20 years ago, Ausonia wanted to expand the community benefit of its property by offering the building for affordable housing as part of the original Battery Wharf Project. When the Raymond Group pulled out of the Battery Wharf project, Ausonia reached out to many community cultural, education and health non-profits as well as government agencies to utilize its property for the neighborhood. Although nothing materialized during that process, Ausonia believes that a 100% affordable, elderly housing complex is now the best use for the building. The Knights of Columbus, Ausonia Council #1513 has always been an active member of the North End community. From being a founding member of North End Against Drugs to providing their facility for use by community organizations, Ausonia fulfills their charitable mission to make the North End a great place for everyone. The council has hosted NEAA Little League Baseball Banquets and North End Music & Performing Arts Center rehearsals in the hall. During the Central Artery construction, the North End Waterfront Central Artery Committee CA/T conducted community meetings at the council and the project maintained a public outreach office on-site. Individually, many members of the council play integral roles for many of the community’s non-profit organizations, religious feast societies and church groups. For example, council members served on the North End Community Health Center Board’s Nursing Home Subcommittee, which developed the North End Nursing Home; and more recently made the community aware of the BRA/LDA agreement which was instrumental in saving the nursing home. Many factors were needed to move this project so close to a reality. First, the council has received support and encouragement from Mayor Martin Walsh and his administration. Inspectional Services Department Commissioner William “Buddy” Christopher met with council members and clarified many issues early in the process. Sheila Dillon, the Mayor’s Housing Chief and Director of the Department of Neighborhood Development, and her staff have been meeting with Ausonia for over a year regarding the financing and feasibility of the project. Boston Planning and Development Agency (former BRA) staff have been working with Ausonia on financing and the Article 80 development process. State Representative Aaron Michlewitz and State Senator Joseph Boncore have been involved since the early planning stages; and newly elected City Councilor Lydia Edwards has also been briefed on the development. 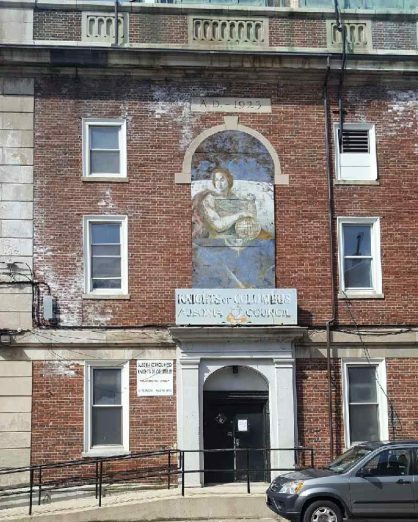 The East Boston CDC does not own the Villa Michelangelo. It is owned by the community thru it’s Board of Directors which are made up of members of the Community, NEW Health and ABCD. The Board hires the CDC to run the day to day operations. Thank you for the correction. That has been changed to “managed” in the post. How about something for North End residents in their mid 50’s to early 60’s? Nothing for us to do either! Fix the Nazarro Center that has more money that can ever be spent in a lifetime thanks to Emily Pagliuca (spelling isn’t correct) but that lovely woman left everything she owned, including her building, to the Nazarro Center, when she passed away many years ago. May she rest in eternal peace. why stop at people in their 50s? why not have the city buy the entire north end and let all us live here for free. i think it says something about that in the bill of rights, no? I know folks mainly like to complain here, but I would just like to take a moment to thank the KofC for doing the right thing and putting the neighborhood first. What a beautiful show of respect to those of us in this age group who treasure the North End Community. The residents here are gems. The knights of Columbus deserves some praise here. I’m sure there were BIG BIG developers who made offers for this land. Developers who would’ve paid much more than the people who will put affordable housing. We should remember this next time people try to remove/protest memorials of the great Christopher Columbus! Congrats and thanks to the Knights for their efforts! This is a good thing for the North End. The Knights of Columbus did a rare thing, kept their presence in the N.E. and giving something back to by way of housing for the elderly. They will always feel at home, knowing they can stay in the North End. More should think like them. There is nothing wrong in fighting to preserve the North End. It’s not easy, but you try just as hard as those who feel it must change. No one forces anyone to come into the North End. Again this is a good move and nice that the Knights are staying. I have lived my life here and would like to remain here . Massive thanks to the Knights of Columbus for this great gift to the North End.